Being an artist when I grew up always seemed like a reasonable option. My parents were art collectors of the middle-shelf variety. No Klines or Matisses, but some wonderful work by artists of the western U.S.—Kaplinsky and Pinkham landscapes, Pletka portraits, Carlson bronzes, Mosijczuk batiks. My sister and I had all the paper and pens we needed to color, design houses, create paper dolls, and draw cartoons. We took private art lessons and elective art classes. I caught the art bug myself when I was nine, and we saw the Calder retrospective at the Hirshhorn. Art was always around. There were signals that I was somewhat good at the art thing too. A young friend of mine passed off my drawings as her own. I won a Donald Duck coloring contest in kindergarten. I was always designated as the poster creator when we had group projects in school. 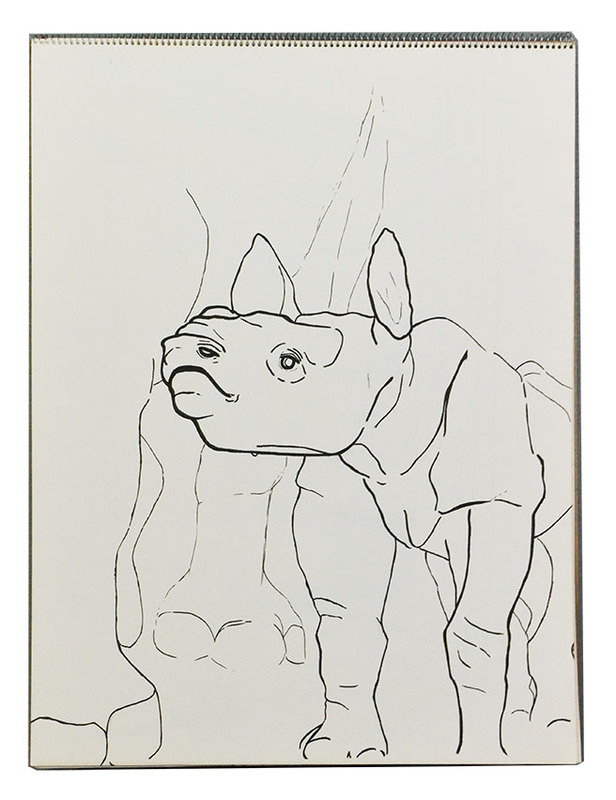 In my sophomore year of college, one of my drawing professors called me a “real” artist, which I think had something to do with the fact that I could draw a decent representation in pen of the baby rhinoceros on display at the natural history museum. In my senior year, I won third prize in the Undergrad Art Show. All in all, it felt like the art gods were giving me the thumbs up. I’m not sure that my parents were completely on board with the plan to study art in college, even though they’d been so supportive while I was growing up, but I’m not sure what else I would’ve done. Medicine wasn’t an option as I would’ve been the one amputating the wrong leg. Science in general wasn’t attractive. I loved the theory, but the math bits seemed irrelevant. For a brief time, I considered architecture, but an architecture friend warned me away. He said that all he did was design Arby’s restaurants, and there was very little creativity involved. I dabbled in all of the media the university’s art department had to offer—drawing, painting, sculpture, graphic design, printmaking, ceramics, and photography—but I ended up spending most of my time in the ceramics studio. I loved the ceramics professor. She was engaged, gave interesting assignments, and had words of wisdom that I could latch onto like, “give life to dumb ideas.” She seemed to attract a lot of dedicated, talented students, and there was good energy in the ceramics room. When I graduated with my BFA, I bought a tiny kiln, and set up a small studio in the basement of the duplex where my new husband and I lived. Then things slowly ground to a halt. This was before Etsy and Instagram, and there was no easy means of exposure, just art fairs and galleries. I missed the camaraderie of the ceramics studio and felt like I was working in a bubble. I was also growing increasingly frustrated with the kiln casualties. The wildflower-encrusted tiles I was trying to make kept blowing up. After I’d remade one for the third time and lost it for the third time, my enthusiasm crashed, and I abandoned the whole venture. To fill the vacuum, my attention wandered to the quilt world. It was the height of the quilting resurgence in the 1980s and 90s. My mom had been into it for a few years, and my best friend wanted to get into it. I found the traditional quilted aesthetic static and repetitive, but looking through my mom’s quilting books one day, I came across the work of Nancy Crow and Michael James. They’d broken free of the grid, and suddenly I saw quilting in a new light. It had possibilities! Maybe quilting could become my new medium? There was a happy, social circle around it, and it was guaranteed not to explode. Fast forward through quilting workshops, a textile design degree, twenty years of practice, and here I am. A quilter, for better or worse. Quilting is somewhat similar to ceramics—it’s pliable, encrustable, paintable, and capable of lovely bas relief. Quilting as a whole, though, has issues, or rather people have issues with it. It’s not the ideal spot from which to relaunch an art career. I know, blogs are so 2006, but I’ve wanted one for that long—ever since I read Julie Powell’s “Julie/Julia Project” before there was even a book or a movie—and now I finally have a reason to start one. I’m giving myself two years to find out what kind of living I can make as an artist/designer/maker of things, and the clock starts ticking today. Becoming a professional, 9-to-5 artist was always something I meant to do, but I’ve been too busy chasing metaphorical butterflies to buckle down and do it. For the last twenty years, it’s been like that scene in the second episode of M*A*S*H where Radar is supposed to be sparring with Trapper in the boxing ring, but instead he’s dancing around, bobbing and weaving and doing lots of fancy footwork and practice jabs and completely avoiding throwing an actual punch. That would be me. In perpetual warm-up mode. Now though, for various reasons, it’s crunch time: be an artist or be . . . what? A tap shoe repair person? An actual butterfly chaser? I’m not trained to be anything else. I’m trained to be an artist, and if I imagine myself at the end of my life not having given it a real effort, I will feel like I’d failed at life. Like I didn’t have the gumption to go for it, and I just settled. Is making a living as an artist even a possibility though? It’s not like becoming a veterinarian or an electrician where a paycheck is virtually guaranteed. There are a lot of folks out there who are full-time artists, but how well are they really doing? Is it hand-to-mouth or do they have something left at the end of the month? Do they earn enough to make the time commitment worthwhile? Are they getting more fame than fortune? No one’s talking (and it seems gauche to ask), so I’m going to wade in and find out for myself. 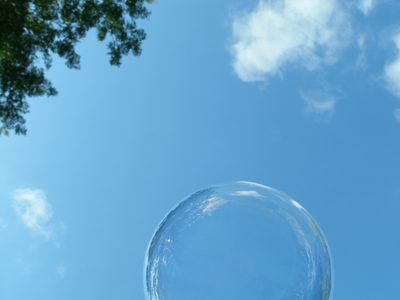 This blog will chronicle the adventure. The countdown to September 1, 2020, begins. And . . . GO!